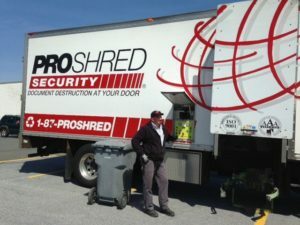 Help stop identity theft-shred your out dated documents! PRINT SOME FLYERS AND DISTRIBUTE THEM TO YOUR FRIENDS. HELP THEM PREVENT THEFT OF THEIR PERSONAL DATA AND IDENTITIES TOO! Amity Township Crime Watch Inc. was founded for the sole purpose of deterring crime within the township. 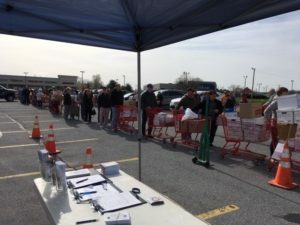 Comprised of volunteer membership and governed by a volunteer board of directors, the organization works closely with the Amity Township Police Department through a liaison officer who coordinates activities between Crime Watch and the department. Such activities include coordinated township patrols, public education of crime prevention and the criminal justice system, increased visibility throughout the township, special crime prevention activities, development and maintenance of the "Crime Prevention Network", and monthly meetings. Amity Township Crime Watch, Inc. is a non-profit, 501 (c) 3 organization who serve as the extra eyes and ears of the local police department. Amity Township Crime Watch Inc. was begun by local citizens and officials in 1985 as a reaction to an increase in crime. Some of these individuals personally experienced crime against them, their families, or their property. At that time the township was rural and only had a small police department. Crime Watch assisted the department by patrolling the township. As the population grew so did the police department, and Crime Watch was always there to help. More people joined and attended the monthly meetings. Experts came and made presentations related to crime prevention. The general public was invited so they too could help protect the community and themselves. The organization became more involved in the community and more visible. Ordinary citizens were making a difference then just as they can today! Be a good citizen and obey the laws. Don't be afraid to report criminal activity when you see it. If it was happening to you wouldn't you want your fellow citizens to help? 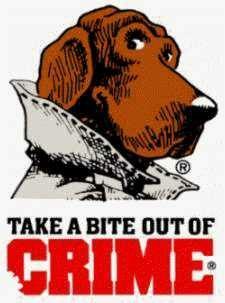 CALL 911 TO REPORT A CRIME OR OTHER EMERGENCY! Add your name and email to the Crime Prevention Network. You'll be kept abreast of local crime prevention programs. Attend them and be in the know.